This is a fun event. 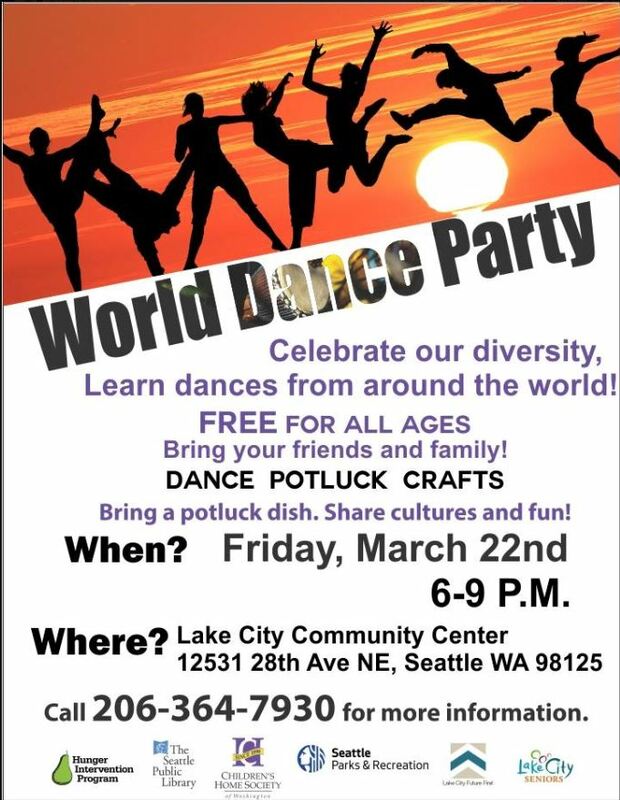 Bring a potluck item to share and taste lots of dishes from around the world. Try out some new dances and meet new neighbors! Kid friendly. March’s art in the pocket park is a collaboration between Tony A. and his dad. Tony stopped by the kids’ art table at last year’s Pinehurstfest. Come to the pocket park at NE 117th St & 19th Ave NE for a stroll and a look at Tony’s piece in the kiosk. Thanks, Tony! 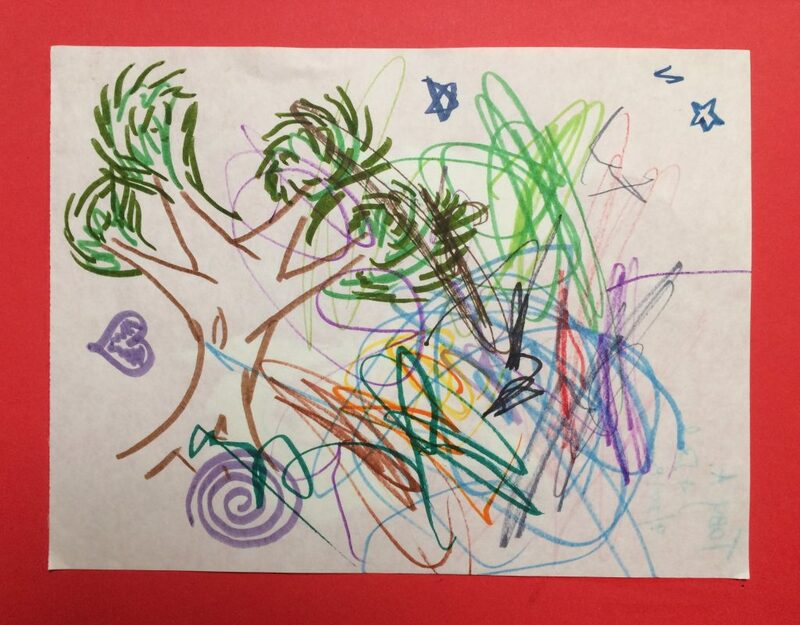 As always, if you would like to submit your child’s artwork (or yours!) for the Pocket Park, please email nancy@pinehurstseattle.org. Plan for future changes, services and other opportunities near the stations. Design sidewalks, bikeways and street improvements to make it easy to walk or bike to the station. Coordinate and prioritize City investments to achieve multiple benefits. Improve the capacity of the neighborhood to advocate for community goals. Once in a while people ask about stolen bikes, or about the piles of bikes at homeless encampments and wondering what the police can do about them. Here is information from Mary Amberg, our SPD Crime Prevention Coordinator. I took notes from our phone conversation, but any misinformation is mine. First and foremost, it is very helpful to record for your records your bike’s serial number. Look online for how to find the number on the frame. Take a photo of your bike, too. For a safe place to keep track of this information, you can register the bike on the national bike index at https://bikeindex.org, but note that SPD doesn’t check recovered bikes there; it only checks them in SPD’s crime report database. It also helps SPD if you make your bike unique somehow – put stickers or tape on various parts, get a unique paint job, or engrave parts with your initials, etc. The best hope of SPD being able to help get a stolen bike back is if you report it stolen and provide its serial number and unique features. You can report a stolen bike after the fact on the on-line reporting page: https://www.seattle.gov/police/need-help/online-reporting. You can also report the theft after the fact by calling the non-emergency line at 206-625-5011. If you see your bike being stolen, call 911 to report a crime in progress. For bikes reported after the fact, there is usually no follow-up investigation due to limited detective staff and lack of leads. The value of reporting is that if bikes with serial numbers are recovered by SPD later, the numbers are run through the reporting database and if matches are found, the bikes can be returned to their owners. On another front, there is one SPD officer who deals exclusively with bikes. He works across all the precincts, checking shops, and trying to break up bike theft rings. He has been pretty successful making a lot of bike busts. Bikes that are picked up by SPD are stored in the evidence warehouse for about 6 months. You can call the warehouse at 206-684-8720. But realize that if you don’t have a serial number or your bike has no unique features, and you just say your bike, for instance, is a blue Schwinn, staff isn’t going to be able to identify which of the couple dozen blue Schwinns in the warehouse is yours. At homeless encampments, police can’t just assume piles of bikes are stolen. They can go into encampments to look for a stolen bike if there is cause to think it’s there. In general, there are way too many encampments to go through them looking for bikes reported stolen. And they can only inspect bikes that are outside. SPD must get a warrant to search inside a tent. This was established in a court case, Washington vs Pippin, which decided a person living in a tent is entitled to constitutional privacy protection like any other person has in their dwelling. Bikes in the encampments are usually only dealt with during encampment cleanups done by the Navigation Team. When the team asks campers if bikes are theirs and they say Yes, SPD must treat them like personal property and store them so the campers can pick them up later. If they say No, staff run the serial numbers to see if they have been reported stolen, and if so, returns them to their owners. If there are no matches, the bikes are taken to the evidence warehouse and their serial numbers are put into the database. If there are bike parts in the camp that don’t have serial numbers, they are usually disposed of like other garbage in the camp. In honor of the Chinese Lunar New Year 2019, the Year of the Pig, there is a temporary installation somewhere in Pinehurst. Where is it? Can you find it? In Chinese culture, pigs are the symbol of wealth. Their chubby faces and big ears are signs of fortune as well. 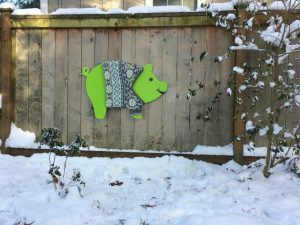 Thank you to Amy, Pinehurst knitter, for tailoring Pig’s warm winter sweater! 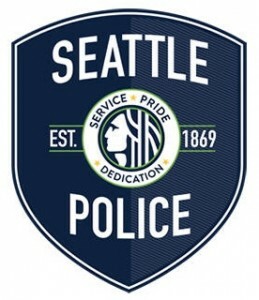 Our SPD Community Police Team Officer Bryan Kennedy has transitioned to another team. Our new CPT Officer is Ryan Beck, who can be reached at Ryan.Beck@Seattle.gov or 206-233-3734. The mission of the Community Police Team is to closely interact with the community to resolve neighborhood problems and concerns through the use of traditional and non-traditional police tactics and the coordinated application of resources beyond those available within the criminal justice system. We’ve often contacted our CPT when we become aware of a chronic problem like a drug house, recurrent graffiti issues, etc. Officer Beck is our go-to guy now. Please join us for the Pinehurst Community Council meeting! The first Community Council meeting of the year will be held at Amante Pizza, 12319 Roosevelt Way NE, on Wednesday, February 20, at 6:30 pm. We will be in the back room, clearly visible from the main dining room. Below is the agenda, and some information about each agenda item. A Home Zone is an area that is protected from lots of fast moving traffic so that streets are safe enough to walk on. Home Zones keep local access for residents, emergency access, and deliveries while discouraging cut-through traffic. 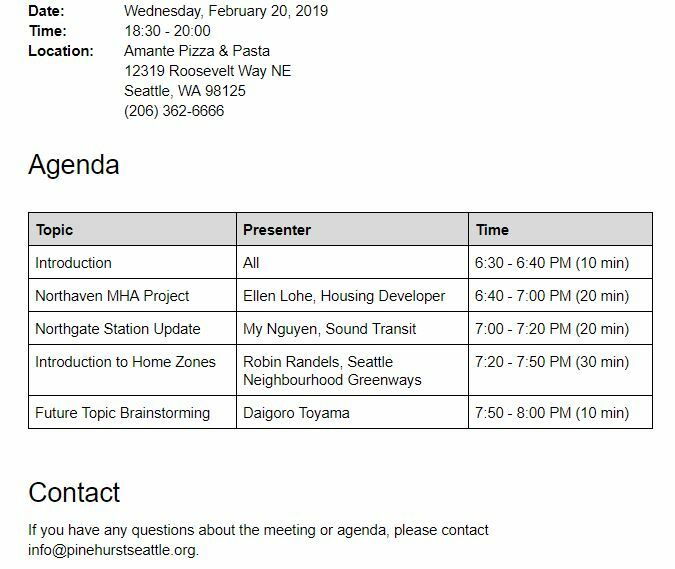 Home Zones can use a variety of street improvements to accomplish this, but focus on improvements that have the best “bang for our buck” recognizing Seattle’s pedestrian budget is stretched very thin. We’ll get an update on our light rail station that’s under construction. Northaven is petitioning for zoning changes to its property to enable it to build over 80 units of low-income senior housing and a health clinic. We will learn about how it plans to help our neighborhood become more affordable. We want to hear your ideas for future community council meetings. What are your highest interests and greatest concerns? Do you have recommendations for guest speakers? Do you want more activism, like working to get grants for street improvements? Would you like meetings to sometimes be more about socializing, such as a bingo night or a kids talent show? In light of the impending cold snap with possible snow, and that just generally, it’s February and winter – this month’s art is a snowy scene. 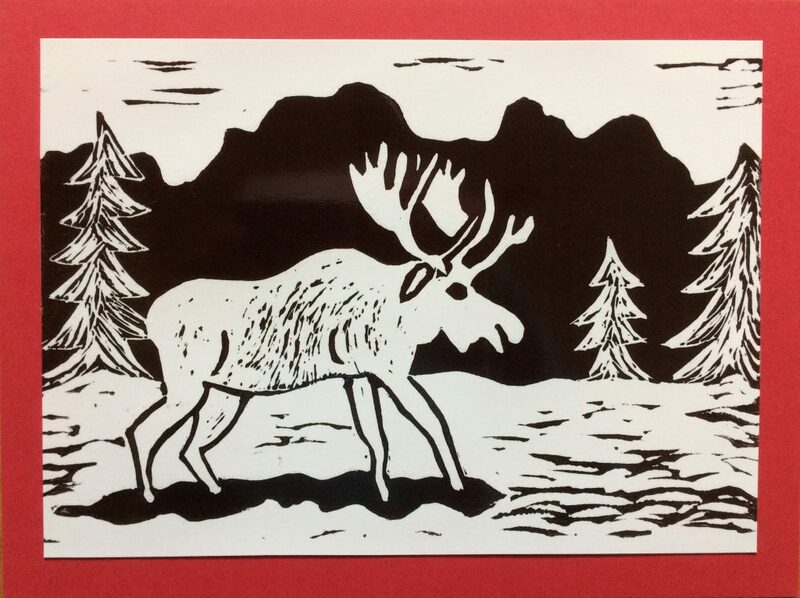 It’s a photo of a linoleum block print made by an adult (we’ll get back to kids’ art next month.) Come by the pocket park at NE 117th St & 19th Ave NE. We will announce a new date when it is set. What is a skills fair? A day of sharing practical skills with our neighbors – there will be short workshops on a wide variety of skills, from sewing in the Sashiko style of Boro to basic electrical to emergency techniques aka “Stop the Bleed”. The day will include a free soft taco bar luncheon (12:15 pm) during which guest speaker Carla Penderock, of Beacon Food Forest. Growing Community – If we work together, share resources, eat and celebrate together, our community fabric grows stronger! Reducing waste – if we can re-purpose that old sweater, it stays out of the landfill. bring clothes you want to patch in the BORO method. Seattle Parks and Recreation is installing new fencing and upgrading the gated entries at Northacres Park Off-Leash Area (OLA). The OLA is located in the northeast corner of Northacres Park,12718 1st Ave NE. The construction work will close the OLA from February 4 through March 1, 2019. The nearest alternate OLA is located at Magnuson Park, 7400 Sand Point Way NE. For a list of other OLA’s please visit http://www.seattle.gov/parks/find/dog-off-leash-areas. 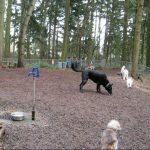 The Seattle Park District’s Maintaining Parks and Facilities funding initiative provides funding to improve Dog Off-Leash Areas (OLAs) throughout Seattle. This initiative provides $100,000 annually until 2020 and will improve existing off-leash areas through increased maintenance while providing updates to aging infrastructure. In 2016, we completed a capital plan for all OLAs, People, Dogs and Parks Plan. This plan provides a scope and prioritization of projects. 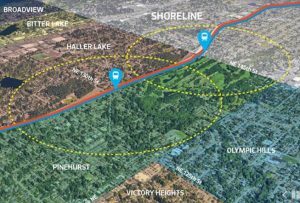 The first four improvement projects were completed over the last two years at Magnuson Park, Genesee Park, Regrade Park and Woodland Park OLAs. For more information please contact Shannon Glass at shannon.glass@seattle.gov or 206-733-9313.